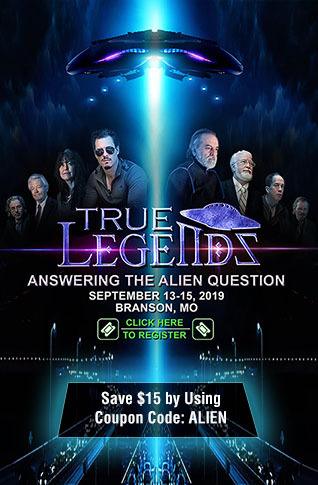 The September "Event" Just Occurred - The New World Order Just Went Live! The September 'Event' Just Occurred - The New World Order Just Went Live! 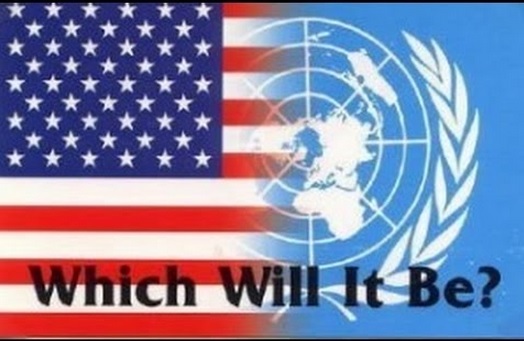 For those that have wondered what one "event" would happen in September that would lead the world into the next phase of the New World Order agenda, look no further than Barack Obama's speech given on September 28, 2015 before the UN's General Assembly, where American sovereignty wasn't mentioned, but instead "international system," a "system of international rules and norms," an "international order," an "integrated world," as well as "international norms and principles and law," and the pièce de résistance of Obama's comments where he says "strong nations, above all, have a responsibility to uphold this international order," peppered the whole speech. All those quote phrases above were said by Obama and all point to the ultimate goal of a "One World Government," you know, that phrase that continues to be called a "conspiracy theory." 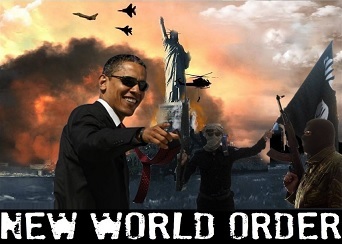 Obama just kicked off the next phase of the New World Order agenda. The video of Obama speech is below the article, the full transcript beneath that, via Newsweek. NOTE TO READERS - I was going to break the speech down paragraph by paragraph, but instead decided to provide the full transcript below the video so readers/viewers can point out what they found to be the most disturbing and concerning, because what bothers one might not be the same as what bothers another.... so have at it in the comment section folks. I'll kick it off with an example of what jumped out at me, other than the deliberate phrasing shown in the first paragraph of this article. Obama said "Consider Russia’s annexation of Crimea and further aggression in eastern Ukraine. America has few economic interests in Ukraine. We recognize the deep and complex history between Russia and Ukraine. But we cannot stand by when the sovereignty and territorial integrity of a nation is flagrantly violated." What Obama neglects to mention is the U.S. interference, support and financial influence in ousting the duly elected leader in Ukraine, which preceded Russia's action. Then to state that we cannot stand by when the country's sovereignty is violated after the U.S violated it first.... well, that is the height of hypocrisy. Out of the ashes of the Second World War, having witnessed the unthinkable power of the atomic age, the United States has worked with many nations in this Assembly to prevent a third world war—by forging alliances with old adversaries; by supporting the steady emergence of strong democracies accountable to their people instead of any foreign power; and by building an international system that imposes a cost on those who choose conflict over cooperation, an order that recognizes the dignity and equal worth of all people. Today, we see the collapse of strongmen and fragile states breeding conflict, and driving innocent men, women and children across borders on an epoch epic scale. Brutal networks of terror have stepped into the vacuum. Technologies that empower individuals are now also exploited by those who spread disinformation, or suppress dissent, or radicalize our youth. Global capital flows have powered growth and investment, but also increased risk of contagion, weakened the bargaining power of workers, and accelerated inequality. How should we respond to these trends? There are those who argue that the ideals enshrined in the U.N. charter are unachievable or out of date—a legacy of a postwar era not suited to our own. Effectively, they argue for a return to the rules that applied for most of human history and that pre-date this institution: the belief that power is a zero-sum game; that might makes right; that strong states must impose their will on weaker ones; that the rights of individuals don’t matter; and that in a time of rapid change, order must be imposed by force. But I stand before you today believing in my core that we, the nations of the world, cannot return to the old ways of conflict and coercion. We cannot look backwards. We live in an integrated world—one in which we all have a stake in each other’s success. We cannot turn those forces of integration. No nation in this Assembly can insulate itself from the threat of terrorism, or the risk of financial contagion; the flow of migrants, or the danger of a warming planet. The disorder we see is not driven solely by competition between nations or any single ideology. And if we cannot work together more effectively, we will all suffer the consequences. That is true for the United States, as well. No matter how powerful our military, how strong our economy, we understand the United States cannot solve the world’s problems alone. In Iraq, the United States learned the hard lesson that even hundreds of thousands of brave, effective troops, trillions of dollars from our Treasury, cannot by itself impose stability on a foreign land. Unless we work with other nations under the mantle ofinternational norms and principles and law that offer legitimacy to our efforts, we will not succeed. And unless we work together to defeat the ideas that drive different communities in a country like Iraq into conflict, any order that our militaries can impose will be temporary. Indeed, I believe that in today’s world, the measure of strength is no longer defined by the control of territory. Lasting prosperity does not come solely from the ability to access and extract raw materials. The strength of nations depends on the success of their people—their knowledge, their innovation, their imagination, their creativity, their drive, their opportunity—and that, in turn, depends upon individual rights and good governance and personal security. Internal repression and foreign aggression are both symptoms of the failure to provide this foundation. Let me give you a concrete example. After I took office, I made clear that one of the principal achievements of this body—the nuclear non-proliferation regime—was endangered by Iran’s violation of the NPT. On that basis, the Security Council tightened sanctions on the Iranian government, and many nations joined us to enforce them. Together, we showed that laws and agreements mean something. But we also understood that the goal of sanctions was not simply to punish Iran. Our objective was to test whether Iran could change course, accept constraints, and allow the world to verify that its nuclear program will be peaceful. For two years, the United States and our partners—including Russia, including China—stuck together in complex negotiations. The result is a lasting, comprehensive deal that prevents Iran from obtaining a nuclear weapon, while allowing it to access peaceful energy. And if this deal is fully implemented, the prohibition on nuclear weapons is strengthened, a potential war is averted, our world is safer. That is the strength of the international system when it works the way it should. That same fidelity to international order guides our responses to other challenges around the world. Consider Russia’s annexation of Crimea and further aggression in eastern Ukraine. America has few economic interests in Ukraine. We recognize the deep and complex history between Russia and Ukraine. But we cannot stand by when the sovereignty and territorial integrity of a nation is flagrantly violated. If that happens without consequence in Ukraine, it could happen to any nation gathered here today. That’s the basis of the sanctions that the United States and our partners impose on Russia. It's not a desire to return to a Cold War. Now, within Russia, state-controlled media may describe these events as an example of a resurgent Russia—a view shared, by the way, by a number of U.S. politicians and commentators who have always been deeply skeptical of Russia, and seem to be convinced a new Cold War is, in fact, upon us. And yet, look at the results. The Ukrainian people are more interested than ever in aligning with Europe instead of Russia. Sanctions have led to capital flight, a contracting economy, a fallen ruble, and the emigration of more educated Russians. Imagine if, instead, Russia had engaged in true diplomacy, and worked with Ukraine and the international community to ensure its interests were protected. That would be better for Ukraine, but also better for Russia, and better for the world—which is why we continue to press for this crisis to be resolved in a way that allows a sovereign and democratic Ukraine to determine its future and control its territory. Not because we want to isolate Russia—we don't—but because we want a strong Russia that’s invested in working with us to strengthen the international system as a whole. Similarly, in the South China Sea, the United States makes no claim on territory there. We don't adjudicate claims. But like every nation gathered here, we have an interest in upholding the basic principles of freedom of navigation and the free flow of commerce, and in resolving disputes through international law, not the law of force. So we will defend these principles, while encouraging China and other claimants to resolve their differences peacefully. I say this, recognizing that diplomacy is hard; that the outcomes are sometimes unsatisfying; that it's rarely politically popular. But I believe that leaders of large nations, in particular, have an obligation to take these risks—precisely because we are strong enough to protect our interests if, and when, diplomacy fails. I also believe that to move forward in this new era, we have to be strong enough to acknowledge when what you’re doing is not working. For 50 years, the United States pursued a Cuba policy that failed to improve the lives of the Cuban people. We changed that. We continue to have differences with the Cuban government. We will continue to stand up for human rights. But we address these issues through diplomatic relations, and increased commerce, and people-to-people ties. As these contacts yield progress, I’m confident that our Congress will inevitably lift an embargo that should not be in place anymore. Change won’t come overnight to Cuba, but I’m confident that openness, not coercion, will support the reforms and better the life the Cuban people deserve, just as I believe that Cuba will find its success if it pursues cooperation with other nations. In such efforts, the United States will always do our part. We will do so mindful of the lessons of the past—not just the lessons of Iraq, but also the example of Libya, where we joined an international coalition under a U.N. mandate to prevent a slaughter. Even as we helped the Libyan people bring an end to the reign of a tyrant, our coalition could have and should have done more to fill a vacuum left behind. We’re grateful to the United Nations for its efforts to forge a unity government. We will help any legitimate Libyan government as it works to bring the country together. But we also have to recognize that we must work more effectively in the future, as an international community, to build capacity for states that are in distress, before they collapse. And that’s why we should celebrate the fact that later today the United States will join with more than 50 countries to enlist new capabilities—infantry, intelligence, helicopters, hospitals, and tens of thousands of troops—to strengthen United Nations peacekeeping. These new capabilities can prevent mass killing, and ensure that peace agreements are more than words on paper. But we have to do it together. Together, we must strengthen our collective capacity to establish security where order has broken down, and to support those who seek a just and lasting peace. Nowhere is our commitment to international order more tested than in Syria. When a dictator slaughters tens of thousands of his own people, that is not just a matter of one nation’s internal affairs—it breeds human suffering on an order of magnitude that affects us all. Likewise, when a terrorist group beheads captives, slaughters the innocent and enslaves women, that’s not a single nation’s national security problem—that is an assault on all humanity. We know that ISIL—which emerged out of the chaos of Iraq and Syria—depends on perpetual war to survive. But we also know that they gain adherents because of a poisonous ideology. So part of our job, together, is to work to reject such extremism that infects too many of our young people. Part of that effort must be a continued rejection by Muslims of those who distort Islam to preach intolerance and promote violence, and it must also a rejection by non-Muslims of the ignorance that equates Islam with terror. This work will take time. There are no easy answers to Syria. And there are no simple answers to the changes that are taking place in much of the Middle East and North Africa. But so many families need help right now; they don’t have time. And that’s why the United States is increasing the number of refugees who we welcome within our borders. That’s why we will continue to be the largest donor of assistance to support those refugees. And today we are launching new efforts to ensure that our people and our businesses, our universities and our NGOs can help as well—because in the faces of suffering families, our nation of immigrants sees ourselves. Together, we can eradicate extreme poverty and erase barriers to opportunity. But this requires a sustained commitment to our people—so farmers can feed more people; so entrepreneurs can start a business without paying a bribe; so young people have the skills they need to succeed in this modern, knowledge-based economy. We can promote growth through trade that meets a higher standard. And that’s what we’re doing through the Trans-Pacific Partnership—a trade agreement that encompasses nearly 40 percent of the global economy; an agreement that will open markets, while protecting the rights of workers and protecting the environment that enables development to be sustained. And finally, our vision for the future of this Assembly, my belief in moving forward rather than backwards, requires us to defend the democratic principles that allow societies to succeed. Let me start from a simple premise: Catastrophes, like what we are seeing in Syria, do not take place in countries where there is genuine democracy and respect for the universal values this institution is supposed to defend. I recognize that democracy is going to take different forms in different parts of the world. The very idea of a people governing themselves depends upon government giving expression to their unique culture, their unique history, their unique experiences. But some universal truths are self-evident. No person wants to be imprisoned for peaceful worship. No woman should ever be abused with impunity, or a girl barred from going to school. The freedom to peacefully petition those in power without fear of arbitrary laws—these are not ideas of one country or one culture. They are fundamental to human progress. They are a cornerstone of this institution. I realize that in many parts of the world there is a different view—a belief that strong leadership must tolerate no dissent. I hear it not only from America’s adversaries, but privately at least I also hear it from some of our friends. I disagree. I believe a government that suppresses peaceful dissent is not showing strength; it is showing weakness and it is showing fear. History shows that regimes who fear their own people will eventually crumble, but strong institutions built on the consent of the governed endure long after any one individual is gone. That's why our strongest leaders—from George Washington to Nelson Mandela—have elevated the importance of building strong, democratic institutions over a thirst for perpetual power. Leaders who amend constitutions to stay in office only acknowledge that they failed to build a successful country for their people -- because none of us last forever. It tells us that power is something they cling to for its own sake, rather than for the betterment of those they purport to serve. I understand democracy is frustrating. Democracy in the United States is certainly imperfect. At times, it can even be dysfunctional. But democracy—the constant struggle to extend rights to more of our people, to give more people a voice—is what allowed us to become the most powerful nation in the world. It's not simply a matter of principle; it's not an abstraction. Democracy—inclusive democracy—makes countries stronger. When opposition parties can seek power peacefully through the ballot, a country draws upon new ideas. When a free media can inform the public, corruption and abuse are exposed and can be rooted out. When civil society thrives, communities can solve problems that governments cannot necessarily solve alone. When immigrants are welcomed, countries are more productive and more vibrant. When girls can go to school, and get a job, and pursue unlimited opportunity, that’s when a country realizes its full potential. That is what I believe is America’s greatest strength. Not everybody in America agrees with me. That's part of democracy. I believe that the fact that you can walk the streets of this city right now and pass churches and synagogues and temples and mosques, where people worship freely; the fact that our nation of immigrants mirrors the diversity of the world—you can find everybody from everywhere here in New York City—the fact that, in this country, everybody can contribute, everybody can participate no matter who they are, or what they look like, or who they love—that's what makes us strong. And I believe that what is true for America is true for virtually all mature democracies. And that is no accident. We can be proud of our nations without defining ourselves in opposition to some other group. We can be patriotic without demonizing someone else. We can cherish our own identities—our religion, our ethnicity, our traditions—without putting others down. Our systems are premised on the notion that absolute power will corrupt, but that people—ordinary people—are fundamentally good; that they value family and friendship, faith and the dignity of hard work; and that with appropriate checks and balances, governments can reflect this goodness. I believe that’s the future we must seek together. To believe in the dignity of every individual, to believe we can bridge our differences, and choose cooperation over conflict—that is not weakness, that is strength. It is a practical necessity in this interconnected world. And our people understand this. Think of the Liberian doctor who went door-to-door to search for Ebola cases, and to tell families what to do if they show symptoms. Think of the Iranian shopkeeper who said, after the nuclear deal, “God willing, now we’ll be able to offer many more goods at better prices.” Think of the Americans who lowered the flag over our embassy in Havana in 1961—the year I was born—and returned this summer to raise that flag back up. One of these men said of the Cuban people, “We could do things for them, and they could do things for us. We loved them.” For 50 years, we ignored that fact. The people of our United Nations are not as different as they are told. They can be made to fear; they can be taught to hate—but they can also respond to hope. History is littered with the failure of false prophets and fallen empires who believed that might always makes right, and that will continue to be the case. You can count on that. But we are called upon to offer a different type of leadership—leadership strong enough to recognize that nations share common interests and people share a common humanity, and, yes, there are certain ideas and principles that are universal. That's what those who shaped the United Nations 70 years ago understood. Let us carry forward that faith into the future—for it is the only way we can assure that future will be brighter for my children, and for yours.